With the lighthouse fully restored to its former glory after over two years of intensive restoration from top to toe, this year’s Centennial celebrations were particularly special. 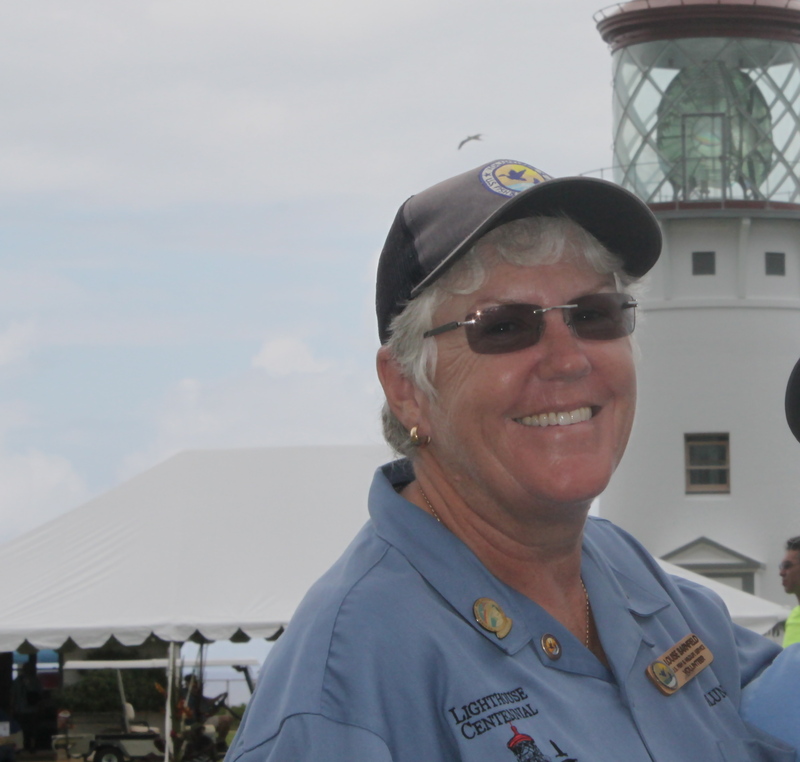 It was a packed week of activities from Wednesday May 1, when the lighthouse was re-opened for back-to-back guided tours, through Sunday May 5, when the town of Kīlauea hosted their community parade and huge open-air party, to celebrate the town’s 150th Anniversary. I was one of the lighthouse guides who thoroughly enjoyed sharing its history and the incredible restoration work with our visitors. Until about four years ago, when it was closed for safety reasons, the lighthouse was open for tours just once a year, on Lighthouse Day, the first Saturday of May. Now we’re waiting to hear whether we will be able to offer tours on a more frequent schedule. It would certainly be sad if the inside couldn’t be enjoyed by more visitors, as it has a fascinating story to tell. 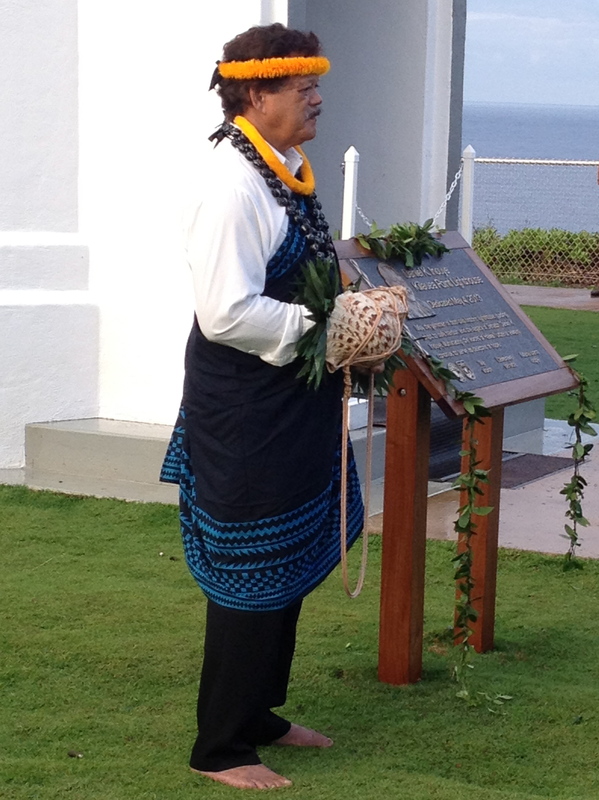 On Saturday May 4 the lighthouse was re-dedicated and re-named in honor of the late Senator Daniel Inouye who played a huge part in gaining sufficient federal funding for the restoration. The initial effort had come some years ago from just a few local enthusiasts who started a fundraising campaign and generously pitched in with the first donations. When Senator Inouye heard of the venture, he took a personal interest in supporting their efforts. The full day of celebrations started with traditional songs and hula dancing, building up to the early evening dedication ceremony with the hauntingly beautiful opening and closing chants that sandwiched a number of emotional speeches. At dusk the light was lit (just a stationary light, the lighthouse is no longer operational and the lens doesn’t rotate). The crowd watched as darkness fell and the beam strengthened. At the same time, the wedge-tailed shearwaters were returning to roost after a long day at sea. They buzzed over our heads as they swooped down into their burrows deep in the naupaka that surrounds Kīlauea Point, and the air was filled with their cries (captured at the end of the video below). Apart from this one day a year the refuge closes at 4pm, deliberately to leave it to the birds, so this was a special experience.